Most laptops and many desktop computers come with built-in cameras that applications and services can activate on their own if users give the appropriate permissions. With the proliferation of connected home security devices and smart appliances, we are increasingly giving services permission to monitor what goes on in our homes, but the most vulnerable target from a privacy standpoint is still the family computer webcam. If privacy is a concern, you may want to disable the integrated webcam altogether on your computer. You don't want malware to take control of the camera to spy on you and your home. If you're a parent, you have other reasons for wanting to disable the webcam, all of them having to do with your kids' safety. 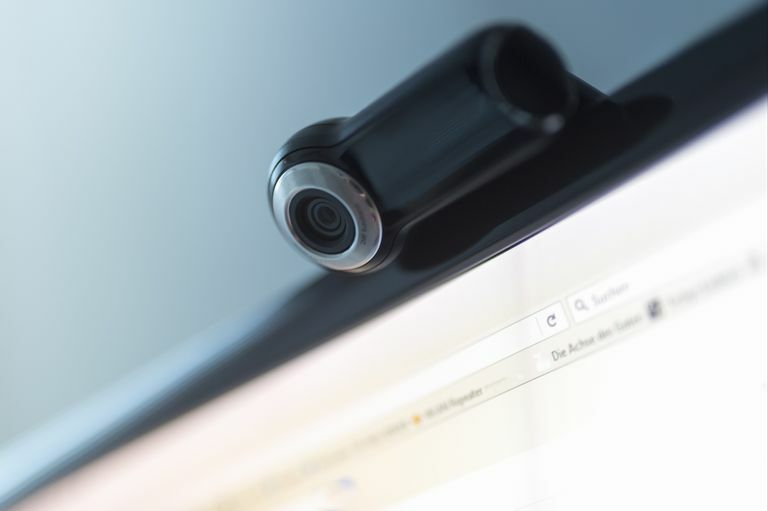 Instant messaging and interactive websites that use laptop cameras aren’t always child-friendly or appropriate, and you might decide that disabling your webcam for a particular website is the best way to protect your children and their identities. If you have an external webcam, disabling it is simple: unplug the USB cord that connects the camera to the computer. If you're a parent, put the camera in a secure place where your child won’t find it. Disabling an integrated webcam isn't a time-consuming process. Directions are given here are for Windows 10 and Windows 7. There's no way to ignore the security concerns presented by the webcam built into your computer. One way to protect your privacy is to turn off the webcam entirely. Another way is to turn off the webcam for everything except the one or two sites you want to have access. Right-click on the Windows 10 Start button and select Device Manager. In the Device Manager window that opens, click the arrow to expand Imaging devices. Right-click your camera's name and click Disable. If asked for confirmation, choose Yes. Your camera is turned off for all apps and services. If you ever want to use it again, return to the Device Manager window and click Enable when you right-click on your camera's name. If you don't want to disable your webcam completely, you can specify which apps and services are allowed to access it, and which are not. Select the Settings icon in the Start menu. In the Camera section, toggle the slider under Allow apps to access your camera to the On position to allow access by some apps and services. Tap the slider next to each app or service in the list to allow some apps and services to access the webcam while preventing others from having access. This option is useful when you only want to set camera restrictions for social media or chat sites that your children use. Go to the Start menu on your desktop and click on Control Panel. Select Imaging Devices and double-click on your webcam in the list. Click on the Driver tab and select Disable to disable the webcam. Choose Yes when asked if you really want to disable your webcam.